Potato fries are a little bit of an obsession of mine and I could easily eat 4 potatoes worth in one sitting – no lie. 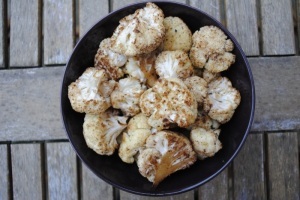 They are such a simple side dish to make and usually a winner on every dinner table. 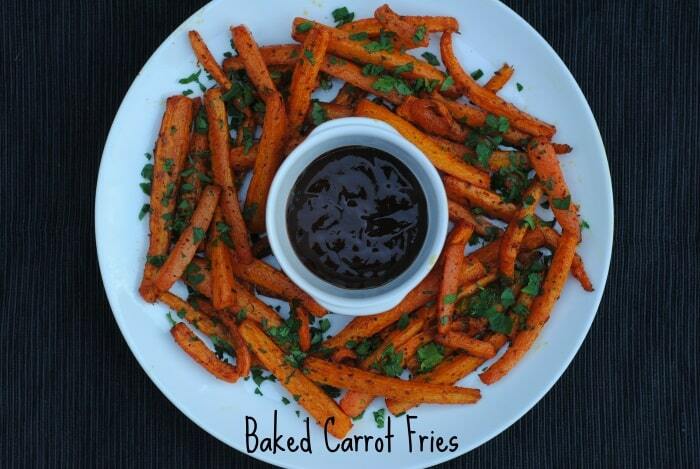 Try these baked carrot fries that are a little healthy twist on regular fries. Under 120 calories a portion, so ideal for a snack or a side. If you want to be kept up to date on more posts like this, then please subscribe to the blog mailing list (it takes 30 seconds) and you will get sent the new recipes straight to your inbox. Your email address won’t be passed on to anyone and you will never be spammed. Click here to sign up. We have a recently discovered a love of gardening, but we are not the best at it. 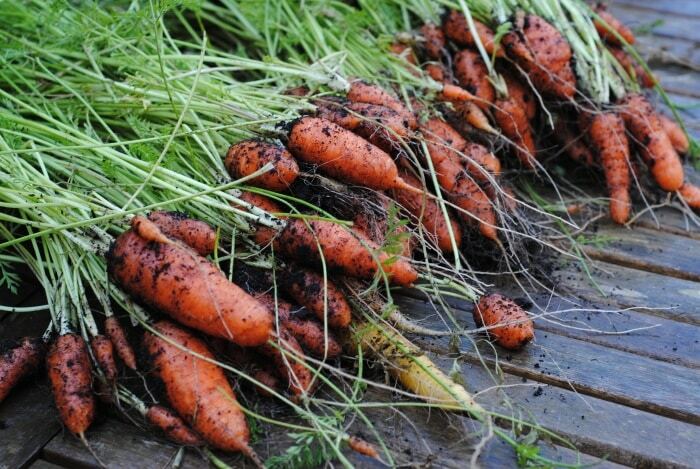 We don’t follow the “rules” (in terms of sowing and spacing) and we don’t harvest things when they should have been – these carrots are the perfect example of that. Luckily we haven’t had a very cold winter this year, so our carrots were okay when we pulled them out a couple of weeks ago. There are many things I love about home grown carrots and the ugliness of them is one of them. Actually, I don’t think they are ugly at all. I just really love all the random shapes and sizes. It’s not just the way they look I love, but they taste so different from store bought carrots. Just much sweeter and full of flavour. I think part of the enjoyment of eating them comes from knowing that you grew them. I said in my first post of the year that I am going to be posting more vegan recipes, so here is another one. Not just a vegan recipe, but a healthier alternative to fried potatoes. Carrots are an excellent source of Vitamin A and K, Biotin and fibre, which will help you to keep fuller for longer. They are really cheap at this time of year too, making them a great budget snack. Chips, French fries, whatever you want to call them – they are my weakness. In fact, potatoes in general. They are the one food that I would find it really difficult to give up, but luckily I don’t have to. I just love their crispiness and all the things you can dip them in. So, now you know how much I love them, hopefully you will trust me when I say that these are a really delicious alternative. You still get the crispiness and crunch, but all the added health benefits of a carrot. They go perfectly dipped in to my Healthy BBQ Sauce. 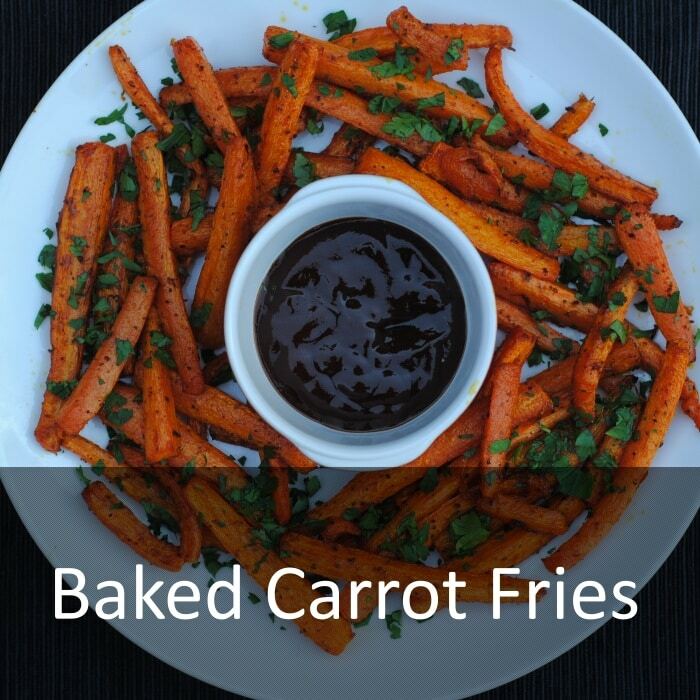 Try these baked carrot fries that are a little healthy twist on regular fries. Under 120 calories a portion, so ideal for a snack or a side. Put the carrots in a bowl with the cornflour, olive oil, salt and pepper and mix well. 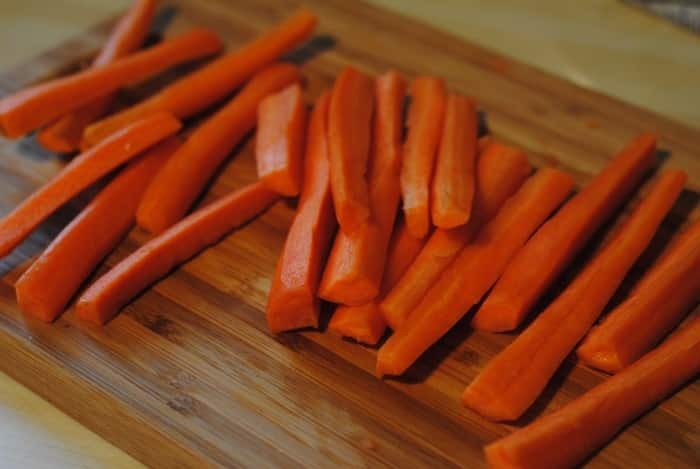 Lay on to a baking sheet, making sure the carrots are not on top of each other. Put in a preheated oven at 200C/390F for 45 minutes, turning a couple of times. What is your favourite dip for chips? Are you a fan of gardening? 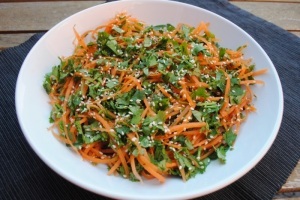 Here are some more ideas for healthy side dishes. 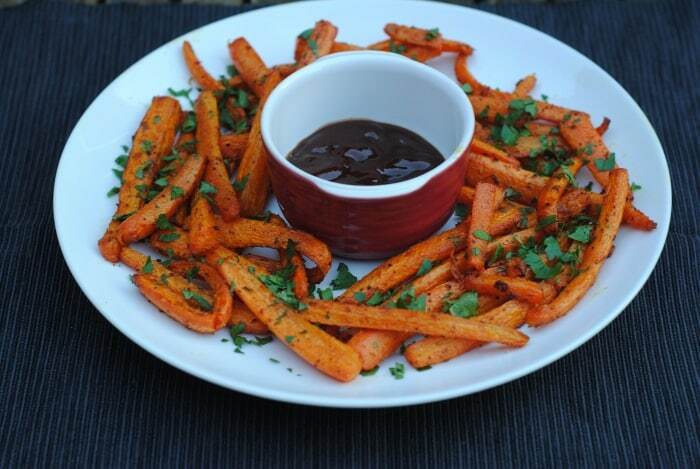 They sound great – pretty much exactly how I make baked sweet potato fries and that’s one of my favourite healthy treats, so I’ll be throwing in some carrots next time! 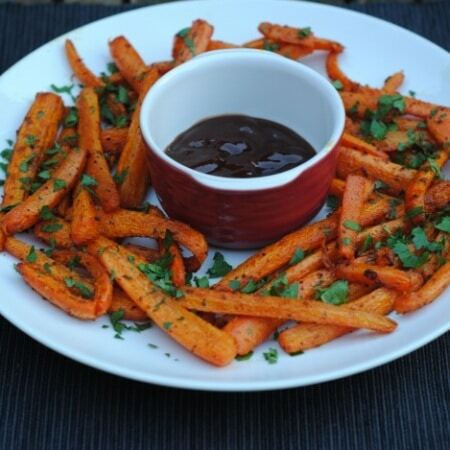 I’ve never had carrot fries, but I absolutely love sweet potato fires so I am sure I would love these. They look delicious! These carrots look amazing! Never tried them baked have to try asap! OH MAN, girl. We gotta keep in touch.. I seriously just ordered some organic carrot seeds for my VERY FIRST garden!! Hehe!! I love carrots, especially straight from the garden! And I totally agree that how they look is one of the best parts. The fries look AMAZING! Can I just say that I love that you are posting more vegan recipes?!! It is so nice! …and you’re right! These aren’t just a vegan recipe… they look delicious!! YUM! Looks like some serious good eats! I had something similar in NYC last fall served with a spicy tofu sauce that was wonderful. I had forgotten all about that until now! Thanks for the reminder of a great evening in NYC! Heck yeah to this recipe! Carrots grew great last year in the garden and because they store so well we have so many left! This is a great snack to enjoy, going to try them tonight! I’ve never tried carrot fries for some reason, but I can see how tasty they would be. I love carrots Dannii! Will definitely try these ! Pinned! I love these carrot fries with the touch of coriander! They look perfect. I like fries with Greek yogurt dips, ketchup, you name it. Perfect snack or side dish! I adore veg fries, carrots are a fave as are courgettes. They are lovely and so much better for you than real fries! Totally with you on this, I love baked/roasted carrots and make them a lot.